There are several roles involved in running a business - boss, administrative assistant, social media strategist, marketing director, accountant, copywriter… the list goes on. Most days I find myself doing a strange, frantic dance, running around trying to keep every plate spinning. If you, too, are in the throws of entrepreneurship, I’m sure you can relate. It’s tough juggling everything, wearing 20 hats, and keeping up with all the important details and deadlines. That’s where this post comes in. I started doing something simple a few months ago that helped cut back on the circus that’s entrepreneurship: scheduling social media. And while this post may not solve all of your juggling, plate-spinning problems, it will certainly help with sanity and productivity. Here are 5 helpful benefits of scheduling social media (and an inside look at our Buffer strategy). Social media is one of the largest time wasters, especially when you use sites like Twitter, Instagram, and Pinterest for your business. It can be far too easy to hop on an account for a quick minute to post something... and get off 30 minutes later after getting sucked into scrolling through everyone else’s photos, pins, and tweets. Our business began to grow when we started implementing strategy and the same has been true for Elle & Company’s social media accounts. The more strategic we’ve become with the content we share on Twitter, Pinterest, Instagram, and Facebook, the more we’ve seen our accounts grow and drive more traffic back to our website. Once I started scheduling time in my workday to take care of social media, I was almost forced to become more strategic about the type of content we were sharing. Planning out each post has helped us come up with a concrete game plan for how we use Elle & Company’s social media accounts. Keep reading to see the strategy behind the content we share. 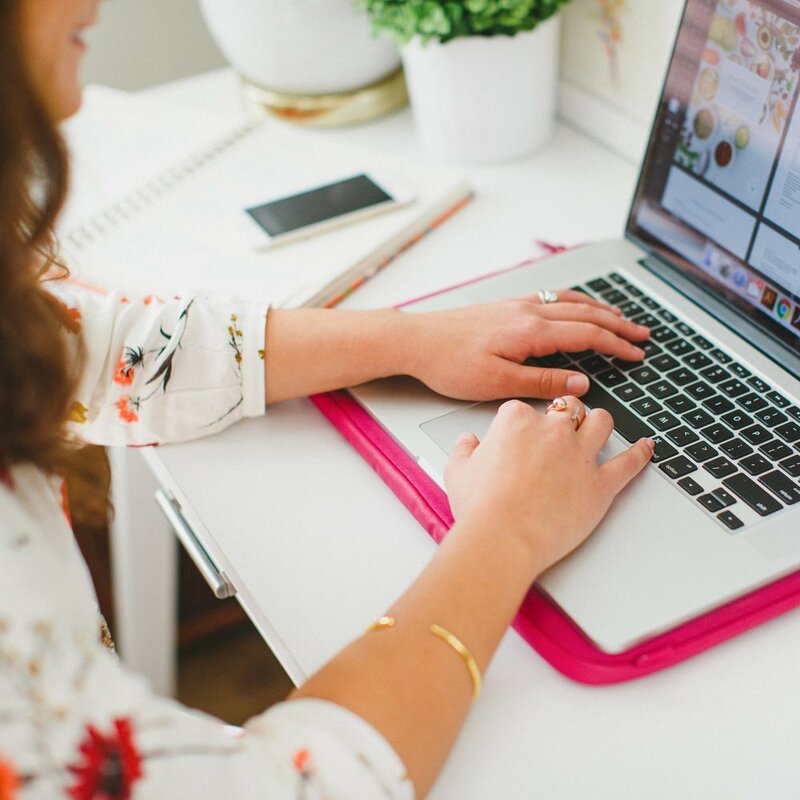 While I prefer to put my own spin on the wording and tone of each social media posts for Elle & Company to maintain a consistent voice and streamline our brand, Jake helps me round up helpful posts each morning. And it saves me so much time. So now that you’re convinced that scheduling social media is the way to go, how exactly do you go about it? Say hello to our little friend, Buffer. While there are several different sites and plugins out there to help you schedule posts, the simplicity and user-friendliness of Buffer easily made it our social media scheduler of choice. Here’s how we use it. First, we connected our Elle & Company’s social media accounts for Twitter, Google+, LinkedIn, Pinterest, and Facebook (Buffer doesn’t have an Instagram option… yet). We chose these accounts because they’re where our audience hangs out. We don’t treat them all the same (as you’ll see below) and some accounts don’t get as much action as others, but Buffer’s ability to send out one post on multiple accounts makes adding platforms like Google+ and LinkedIn a no-brainer. Because each platform is different, we have a different posting schedule for each account. We pour the most amount of time into Twitter. Not only do tweets allow us to directly link back to our website, but we’ve found that numerous creative entrepreneurs and bloggers hang out on the platform throughout the day. Tweets also disappear quicker than posts on Facebook or pins on Pinterest, which means that we have to generate more of them to increase the chances that they’ll be seen. Between my personal Twitter account (which is the account we began posting on at the start of this business) and the brand new Elle & Company Twitter account, we schedule around 10 posts a day for each account and buffer about an hour and a half between each one. We also share around 4 posts a day on Facebook and Google+, 3 a day on LinkedIn, and we’re currently in the process of setting up a schedule for Pinterest (we’ll keep you posted!). We view our social media accounts as a funnel that can drive traffic back to our website, so we use them 40% of the time to highlight blog posts, new Library additions, #ellechats, e-courses, etc. 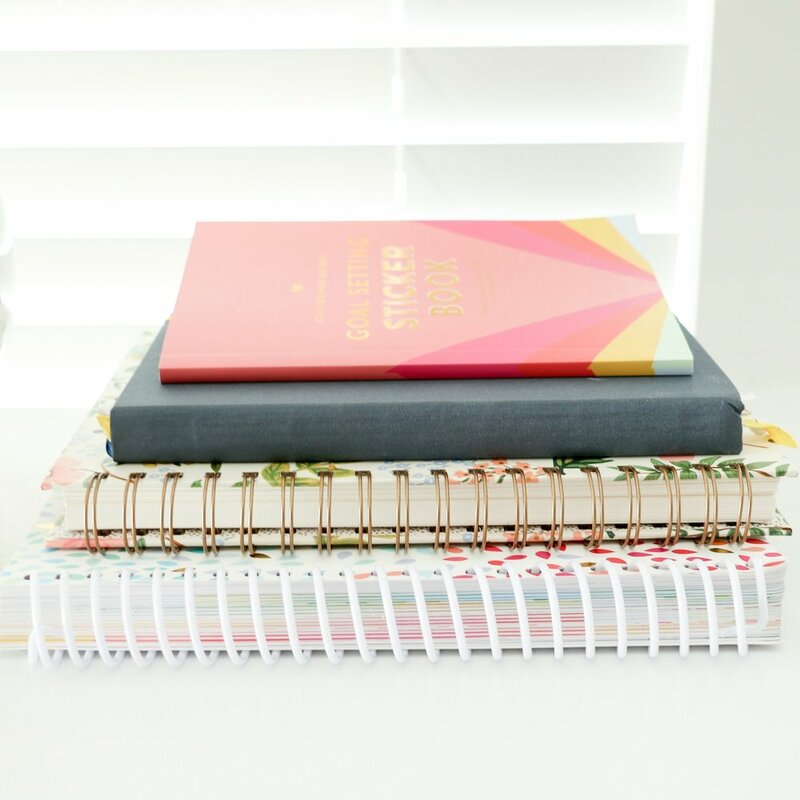 And to keep our accounts in line with Elle & Company’s mission statement - to be a blogging, business, and design resource for creative entrepreneurs - we also share other helpful blog posts and articles on those topics from other businesses and creatives. We’ll also throw some motivational quotes and stats in there from time to time, too. Because Buffer allows us to see all of our posts at a glance, we try to evenly spread out the different types of content we share. For example, instead of highlighting 2 Elle & Company blog posts back-to-back, we’ll often fit a quote and a post from another blog or business in between them. Each business is different when it comes to their social media schedule and strategy, but I hope this post helps you brainstorm ways that you can become more intentional about it and make social media work better for you and your business. Which site or plugin do you use to schedule out your social media posts? How has scheduling your posts benefited you?